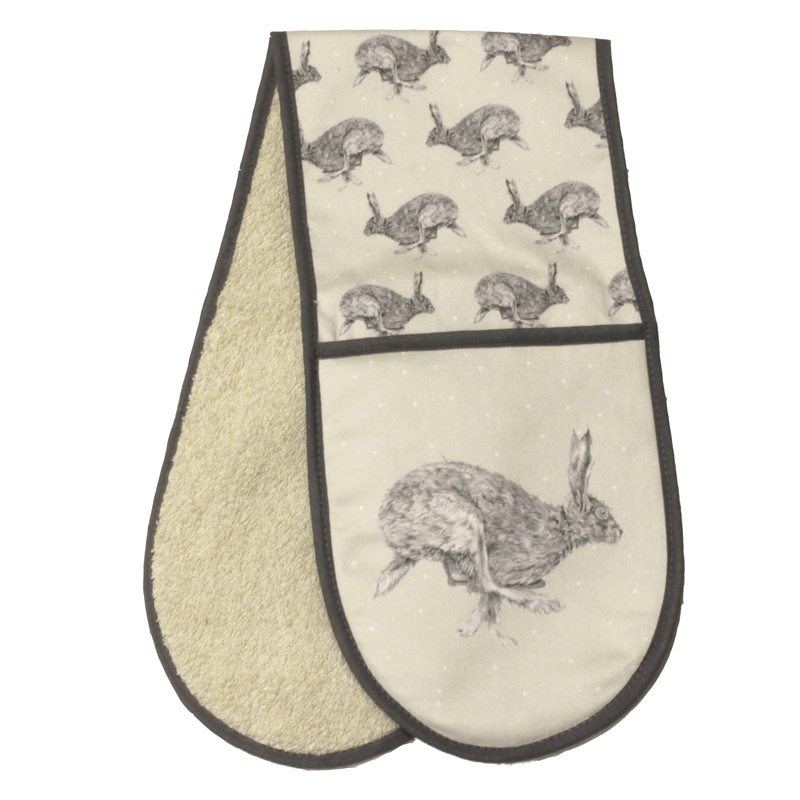 100% cotton, machine washable oven gloves, made with love and care in the UK. 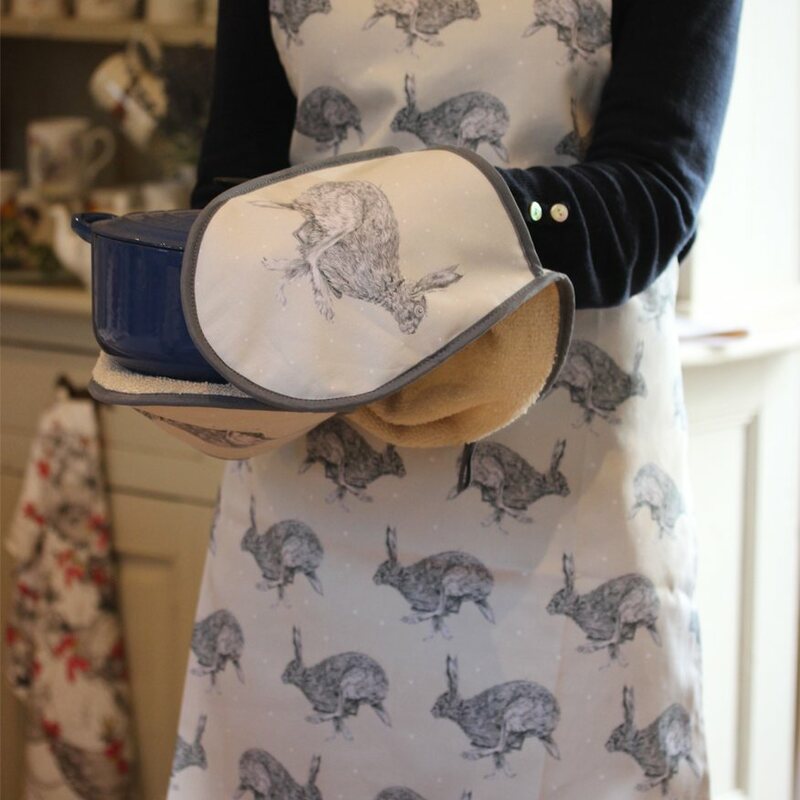 The hare image is taken from an original pencil drawing. 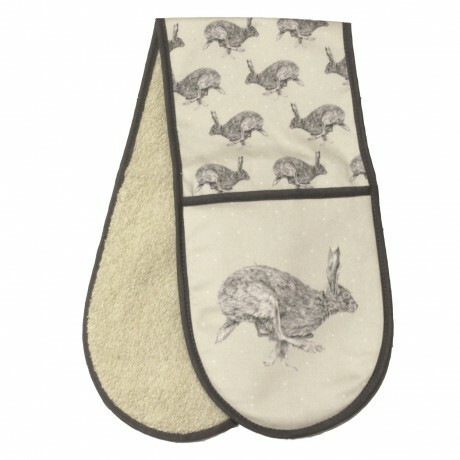 The gloves are insulated with heat-resistant wadding and edged with bias with an added handy hanging loop.The reverse of the oven gloves is terry towelling.